My story is one of hopelessness. 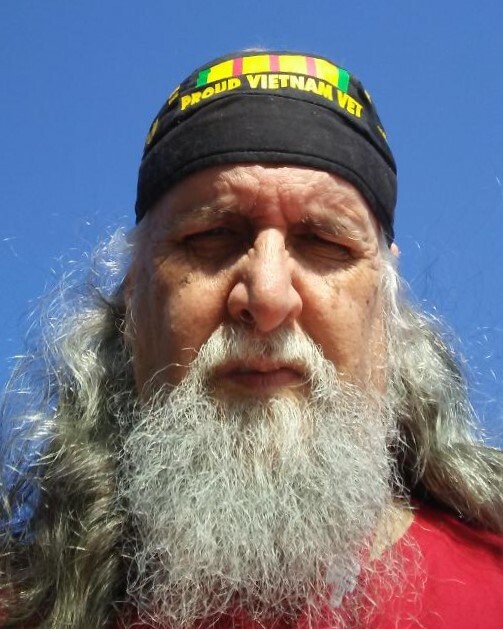 I am 62 years old and a navy Vietnam veteran. I did my time in Vietnam and was discharged honorably as a Chief Petty Officer in 1985 but did not retire. I went to Kuwait as a logistics advisor for the Kuwait Air Force, stayed there for two years and then returned to the U.S. Desert Storm happened two years after that and I received a phone call wanting to know if I wanted to go back to support the Kuwait Air Force in efforts to retake their homeland. Back I went and stayed through 1995. In 2002, I developed chronic back pain and had back surgery a few years later. The surgery went badly from the start and was not successful. The pain only grew worse and I was eventually diagnosed with peripheral neuropathy and failed back surgery syndrome. Then came the Veterans Administration, which diagnosed me with presumptive Agent Orange exposure. The VA would only pay for treatments for the myriad of things related to Agent Orange, such as pain meds for my legs and medications for high blood pressure. This medicine was prescribed through the local civilian pain management clinic. I tried every combination of painkillers you can imagine, including but not limited to hydrocodone, methadone, gabapentin and morphine. My doctor wanted to implant a morphine pain pump, but I refused. Time passed, and things got worse at the VA. A new voucher system, changing regulations, scheduling problems and constantly changing doctors took its toll on me -- as well as trying to differentiate between what happened during which war. At that point I fired the VA and embarked on my journey into privatized medical care. I was exposed to sarin gas during Desert Storm, so by then my ailments included chronic back and neck problems, peripheral neuropathy, post-traumatic stress syndrome (PTSD) and extreme blood pressure problems. No drug completely relieved the pain, but I would take anything that helped even just a little. Over the years my doctors kept admitting they knew I needed more, but pressure from the government and the insurance companies limited what they could prescribe. Now we're into the present day and recently my doctor dropped me from three 50mg tramadol down to one 50mg tramadol per day. TRAMADOL for God's sake! I promptly told him where he could stick his tramadol. My doctor and I previously had a talk when I was hospitalized with two strokes on the same day. My directives to him were very simple. If you're not going to treat my pain, you're not going to treat anything. With that I stopped taking all my medications. I tried to explain about quality of life, which at this point I had none. It seemed to go over his head. Hospitals now only treat you for why you are in the emergency room, and even though you're admitted that's all they're treating. I've given up and am waiting now to die. I've lived a great life and have no expectations of my quality of life improving. I'd like to thank the VA, the other government agencies involved, legislatures and my local doctors for putting all their efforts into making things tough on people that are addicted or need pain medication. They have a problem which they don't know how to solve, so they’re taking the easy way out by taking all the meds away from EVERYONE. Screw those who really and legitimately need them. Common sense is fast disappearing. I'm done fighting, but I'll always be proud of my naval service and of my service to the State of Kuwait. Good luck to us all. Greg Gaston grew up in south Jersey and now lives in Texas. He has two daughters, six grandchildren and two great grandchildren.